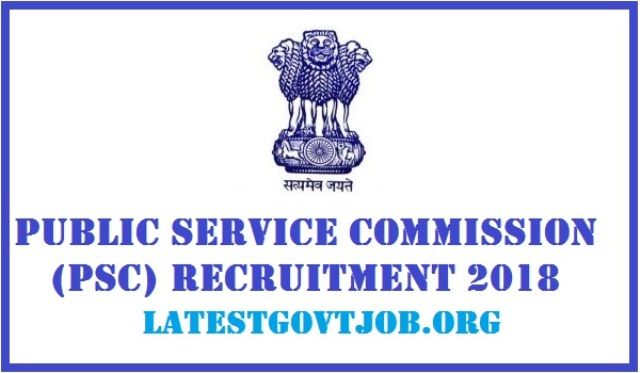 JPSC Recruitment 2018 for Assistant Public Prosecutor 143 Vacancies | Apply @jpsc.gov.in : Jharkhand Public Service Commission (JPSC) has released a notification for the recruitment of 143 Assistant Public Prosecutors. Interested candidates may check the vacancy details and apply online from 23-02-2018 to 08-04-2018. General/UR/OBC candidates have to pay Rs. 600 and SC/ST candidates have to pay Rs. 150 through SBI Collect using Net-banking/Credit or Debit Card. Women candidates (SC/ST/Ex-Servicemen) don't have to pay any fee. Interested and eligible candidates may apply using online mode through JPSC website - http://www.jpsc.gov.in/ - from 23-02-2018 to 08-04-2018 OR offline mode by sending thier application form with the photocopies of relevant documents and passport size photographs to The Secretary, Jharkhand Public Service Commission, Sercular Road, Ranchi-834001 before 20-04-2018.